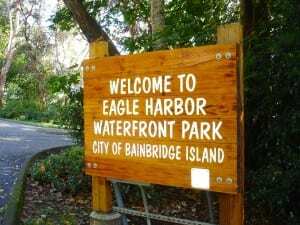 In this 12-minute podcast interview, BCB learns from our City’s Community Engagement Specialist, Kellie Stickney, about the City’s proposed project to improve central Winslow’s Waterfront Park and City Dock. Kellie notes that the subject will be discussed, and citizen comments will be welcomed, at the City Council meeting of Tuesday evening, January 20th, which starts at 7pm. This could be the last public meeting before the Council decides which parts of the project to prioritize. 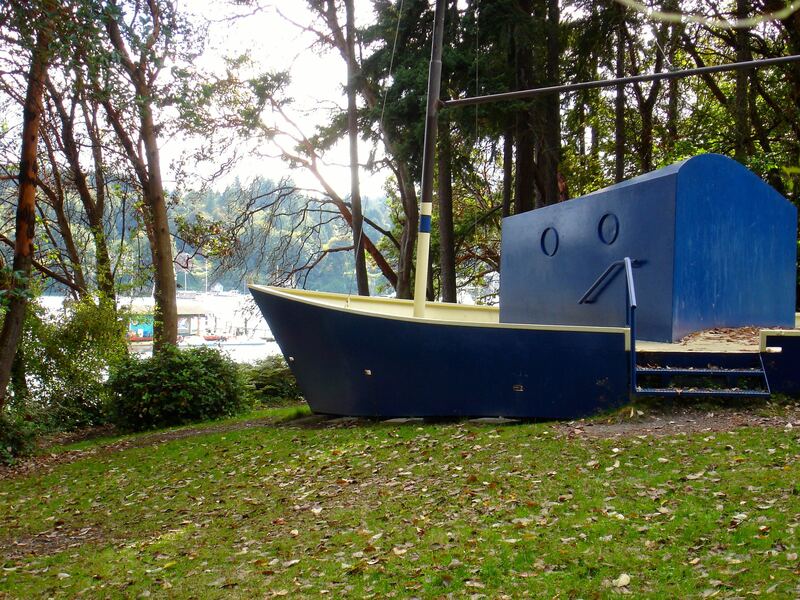 In this interview, Kellie Stickney also urges Bainbridge citizens to contact State legislators to advocate for reallocating state assets to the fund that normally provides for grants of the type that this project would benefit from. At the City Council Study Session on January 6, Public Works Director Barry Loveless informed the Council that the City had a shortage of $835,000 in funding needed to complete both Waterfront Park improvements and a new City dock. The City is in the process of seeking funding from the Washington State Legislature to fill this gap, but in the interim the Council is discussing how to proceed if the gap isn’t filled in the short term. 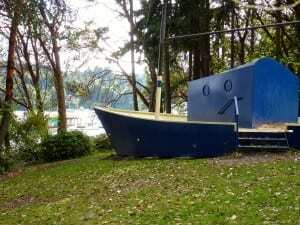 In Waterfront Park, the performance stage and band stand is in the shape of a boat. 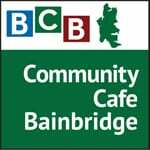 Kellie encourages Bainbridge residents to attend the City Council Study Session on Tuesday, January 20 to provide input. If you’re unable to attend the January 20 meeting, comment can be submitted in writing at City Hall, or via email to all Council members. The discussion at the January 20, Study Session is scheduled to begin at 7:40 pm, but the public may want to arrive earlier. 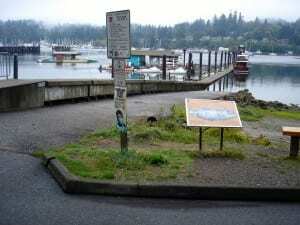 Residents interested in joining the City in requesting that the Washington State Legislature take action to resupply funding to the Boating Facilities Program to restore it to its pre-2012 levels so that the Waterfront City Dock project could be partially funded, can go to the City website to find sample letter 1, sample 2 and sample 3. 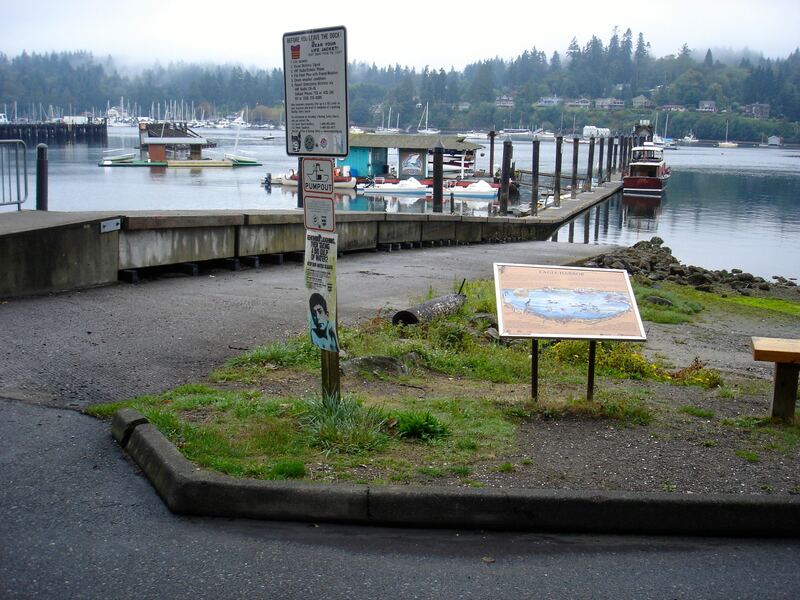 Questions regarding the Waterfront Park-City Dock project can be submitted to Barry Loveless, Public Works Director at 206.842.2016 or at the Public Works Director’s email address. Credits: BCB host, editor and social media publisher: Barry Peters.